1. Can Manifattura Falomo mattresses be bought directly from the factory? No. Manifattura Falomo products are available at our specialized retailers, that can guide you in the choice of your new mattress, pillow and mattress support. The complete range of Manifattura Falomo products can be found on our online shop. 2. Does Manifattura Falomo also produce mattresses of special sizes? Yes. For the majority of the products, Manifattura Falomo can make upon request mattresses of customized sizes, as well as mattress supports (bed bases). Please contact us through the CONTACT US section for further information; we will be pleased to provide you with all the information necessary. 3. I have back problems, which is the ideal mattress for me? There is no precise model of mattress and we are aware of the difficulties in choosing the most suitable mattress, considering the large variety of models available on the market. We however have accounts from our clients who manifest back problems and who have found great relief sleeping on models such as Kuschelmed and Kuschelmed De Luxe of the Aquatech range, which are medical device products registered with the Ministry of Health. 1. Are memory foam mattresses harmful for small kids (aged 3-10)? • density and thickness of the viscoelastic foam (memory foam) used to make the core of the mattress. Moreover the presence of the “Oeko Tex Standard 100” mark on the material which is contained in kids’mattresses, assures the absence of harmful and dangerous products to health. 2. Do mattresses for overweight people exist? Yes, we offer different rigidities for the majority of the mattress models, of which the highest one can satisfy these requests. For very sturdy people, we have introduced new spring mattresses with the innovative XXL suspension, made specifically to satisfy overweight people. Among the mattresses most appreciated by our clients with such request, are the Balance De Luxe mattress with XXL stiffness, the Hypoallergenic Balance with XXL rigidity and the Balance Merinos Wool-Cotton with XXL stiffness. 3. How can I clean the mattress? For an always hygienic mattress, it is essential to have a removable (through zipper) and washable lining. With regular washing of the lining at high temperatures in a washing machine, and by airing the mattress constantly, it can be said that a mattress is clean also with the passing of time. 1. How do I chose my new pillow? There is nothing more personal than the choice of one’s pillow, and exactly for this reason, production companies of bed systems offer a wide range of pillows. The pillow must fill the space between the head and shoulders, must correctly support the nape aligning the head with the vertebral column, and must meet personal needs of softness: it is therefore essential to test it first hand in a store before buying it. Always keep in mind that the perception of the same model of pillow can change depending on how the mattress “adapts” to the shoulder area. 2. How do I wash a memory (viscoelastic) or latex pillow? Can I wash them in the washing machine? Generally you only wash the pillow’s cover, not the whole pillow. Manifattura Falomo’s pillows, having completely removable linings, are easy to wash in the washing machine in order to be always hygienic. 3. How often does a pillow need to be changed? A pillow needs to be substituted once the requisites of comfort and hygiene are no longer met. On average after 5 years of use it is preferable to start thinking of changing the old pillow, even though the durability of the pillow is linked directly to the use of it. 1. Are adjustable electric bed bases (reclinable bed bases) suitable for a pocketed spring mattress? Yes, adjustable electric bed bases are suitable for pocketed spring mattresses. However, there are some mattresses which are more indicated for this type of support, as for example mattresses of the Soy Memory and Aquatech range. These are in fact more flexible and adaptable to various reclining positions of the bed base. 2. Can the bed base damage the mattress or prevent me from sleeping well? Yes, in some cases the bed base can ruin the mattress. If the support sags in some areas, more precisely the slats flatten or create a hole in a certain area, the mattress can sink, thus compromising its entire structure. 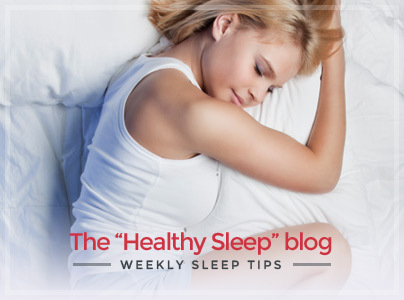 If these conditions continue, the mattress can be permanently damaged. 3. Is the choice of the bed base important? Yes. 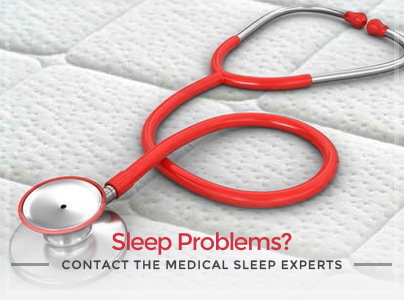 The combination the mattress and its support is fundamental as these 2 components must harmonize in a correct way to guarantee a healthy rest and improve each other’s value. Furthermore, a correct bed base-mattress combination, guarantees a longer duration of the mattress in time and thus better performance to guarantee a regenerating rest.